From the National Public Radio (NPR) to the New York Times, unmanned aerial vehicles (UAVs), otherwise known as drones, have been receiving a lot of press coverage. These high-tech, unmanned aircraft are changing the way the United States, and other countries, go to war. While drones are mostly used for reconnaissance and surveillance purposes, they are increasingly being used for military strikes. Most of the drone strikes occur in Pakistan but are increasing in Yemen, Somalia, and elsewhere. Under the Bush administration, the U.S. launched 52 drone strikes in Pakistan. The Obama administration has dramatically increased that number to nearly 280 so far, along with dozens more in Yemen and Somalia. As a writer and peace activist, I am concerned that this technology will make it far too easy for nations to go to war, hence why I’m writing about it. The international community needs to mitigate the insidious implications of drone warfare. In December of last year, the Washington Post reported that within three years, the Obama administration “has built an extensive apparatus for using drones to carry out targeted killings of suspected terrorists and stealth surveillance of other adversaries.” This includes building secret drone bases in the Horn of Africa and Arabian Peninsula. The proliferation of drone technology has created what some journalists are identifying as a global arms race for drones. Countries such as Israel, Great Britain, and China already possess drones and demand for drones is growing in countries like Egypt, India, Turkey, Saudi Arabia, and Malaysia. What makes drones so attractive is the diminished human cost to the users. People can pilot a drone from miles away without putting their lives in danger. In addition, drones are seen as effective tools in the “War on Terror”. They can fly over inaccessible regions, such as the FATA region in Pakistan, and strike adversaries with little harm to civilians and soldiers on the battlefield. However, drones are not as clean as they seem. Like other high-tech weapons, drones kill civilians. It is tough to get precise numbers on how many people drones kill because, one, the strikes occur in dangerous and inaccessible areas; two, the drone program is largely run by the CIA (but also the military), which means these operations are carried out in secrecy; and three, the Obama counts all military-aged males in a strike zone as “combatants”, despite the possibility that many of them could be civilians. The Bureau of Investigative Journalism managed to get conservative figures based on news reports and journalists on the ground. According to the Bureau, more than 3,000 people have been killed by U.S. drone strikes in Pakistan, Yemen, and Somalia. Of those, anywhere between 500 and over 900 were civilians. Given the difficulty of counting civilian deaths and the Obama administration’s broad definition of “combatant”, it is very possible that the actual number of civilians killed is much higher. Wired Magazine also managed to get photographs of the damage drone strikes have done in Pakistan (be advised: the pictures are disturbing and some show dead children). 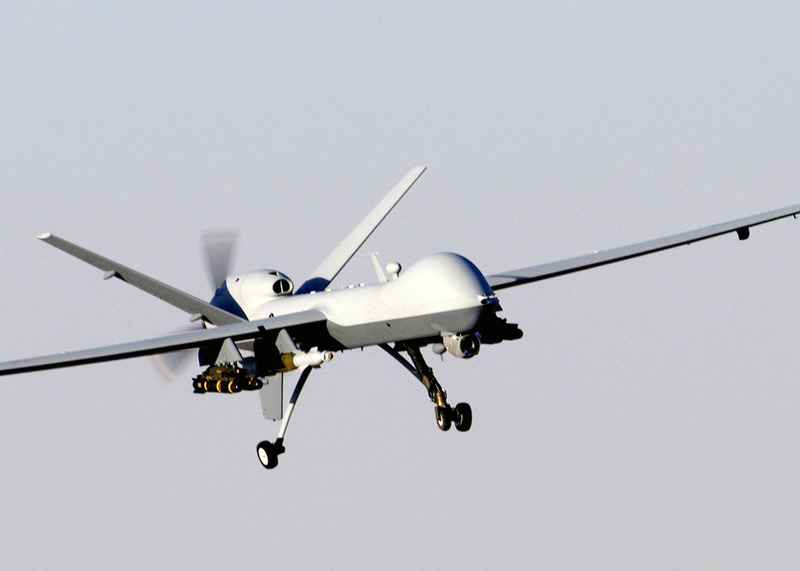 As drone strikes increase, so will civilian casualties. Civilian deaths aren’t just caused by negligence on the part of drone operators. They are also the result of drone policy. The U.S. will often launch follow-up strikes, which are strikes that occur quickly after one was launched, target rescuers, and strike at funerals. In addition, the CIA carries out signature strikes, which are drone strikes based on the movement of individuals without knowing their names or what they’ve done. This, inevitably, results in the CIA and U.S. military killing civilians based on the assumption that they could be “terrorists” or “militants”. In late April, President Obama granted the CIA and U.S. military the authority to launch signature strikes in Yemen, thereby expanding the U.S.’s covert war in that country. The deaths of civilians by U.S. drone strikes have angered people in Pakistan, Yemen, and Somalia, and arguably led to an increased likelihood of attacks on Americans. In 2009, before the U.S. launched drone strikes in Yemen, al-Qaeda in the Arabian Peninsula (AQAP) had no more than 300 members. Once the U.S. began and expanded missile strikes in Yemen, that increased to more then 700. People in those countries get angry at the United States for killing their friends and relatives by drones and want to get revenge. These feelings of anger and vengeance fuel the popularity of groups like al-Shabaab in Somalia, al-Qaeda in the Arabian Peninsula, and the Taliban and al-Qaeda-linked groups in Afghanistan and Pakistan. As a result, the drone strikes further destabilize already-underdeveloped countries and strengthen militant groups that want to strike the United States. Moreover, drones are also uniquely insidious because they make it easier for countries to launch military strikes with little debate or accountability. Drone operators are far-removed from the harsh realities of the battlefield. All they have to do is control the drone by remote control and kill people with the push of a button. This desensitizes the operators and makes killing people look like a video game. In addition, the public is far removed from the realities of drone warfare, which dampens debate and calls for accountability. To make matter worse, President Obama personally approves every drone strike against suspected terrorists, with little oversight or checks and balances — making him the ultimate judge, jury, and executioner. He used this power to kill three U.S. citizens in Yemen by drone strikes with no due process. This sets a very dangerous precedent. Future leaders will have the power to kill whoever they want with a drone with no accountability — a power that will inevitably be abused. This violates basic human rights, is profoundly tyrannical, and morally reprehensible. Current international laws, such as the Hague Regulations, Geneva Conventions, the United Nations Charter, and international human rights law, apply to drone warfare and make clear that killing civilians is illegal. According to United Nations Special Rapporteur on extrajudicial, summary or arbitrary executions Philip Alston, “the use of drones for targeted killing is almost never likely to be legal.” Unfortunately, the U.S. has not lived up to these standards. The global proliferation of drones calls for new international standards on how drones should be used. It is reasonable for drones to be used for humanitarian purposes, such as rescue missions. However, using drones to kill people should be prohibited or tightly regulated. Most importantly, any future drone policy that develops must meet basic standards of international human rights. To implement these changes, it is important for activists, journalists, and concerned citizens around the world to pressure their governments and the international community to implement them. The United States, and any other country, does not have the right to bomb whomever it wants, whether by drone or manned aircraft. While drones are commonly used overseas, they are increasingly being used on U.S. soil. I’ll have more on that in part two of this series. If you want to learn more about drones, read the work of Michael Hastings of Rolling Stones Magazine, Jeremy Scahill of The Nation Magazine, Glenn Greenwald of Salon.com, Wired Magazine’s Danger Room blog, the American Civil Liberties Union’s (ACLU) section on drones, and the Bureau of Investigative Journalism. Also, look up the groups and individuals who were at Washington, D.C. Drone Summit that occurred in late April. Originally appeared in Turnstyle News on June 21, 2012.